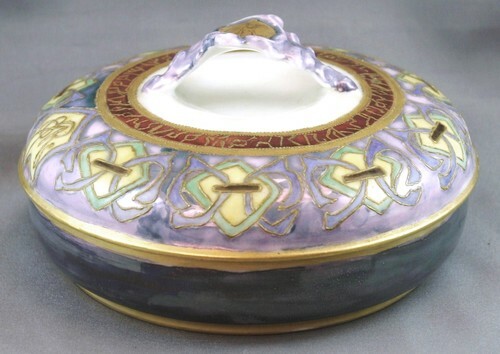 J Pouyat Limoges covered dish in purple, yellow, green and brown design with an opalescent background, pink inside. There is a hand-painted monogram: "JR". It is about 5 1/2 inches in diameter, 3 inches high with lid.